This stone was set by Judge Luther P Waid, in 1962, according to his history of the Waid family. It replaced (covered) an earlier stone that simply said "Wade, A Revolutionary Soldier 1776". Furthermore, he says that the grave site was first pointed out to him by his father (Luther Waid, son of James C Waid, son of Greenberry Waid, son of Abraham Waid) in 1930. Other comments regarding Hampton Waid are reproduced below. However, there seems to be much which is unproven about Hampton Waid's identity. LP Waid's history indicates that Hampton Waid was the father of Abraham Waid. However, in Calvin Waid's final pension documents, Isaac Hampton Waid (who most agree is Abraham Waid's son) is referred to as Calvin Waid's grandson. This designation would seem to refute the premise that Abraham was Hampton's son, and suggests that Abraham is the son of Calvin from an early (and undocumented) marriage. 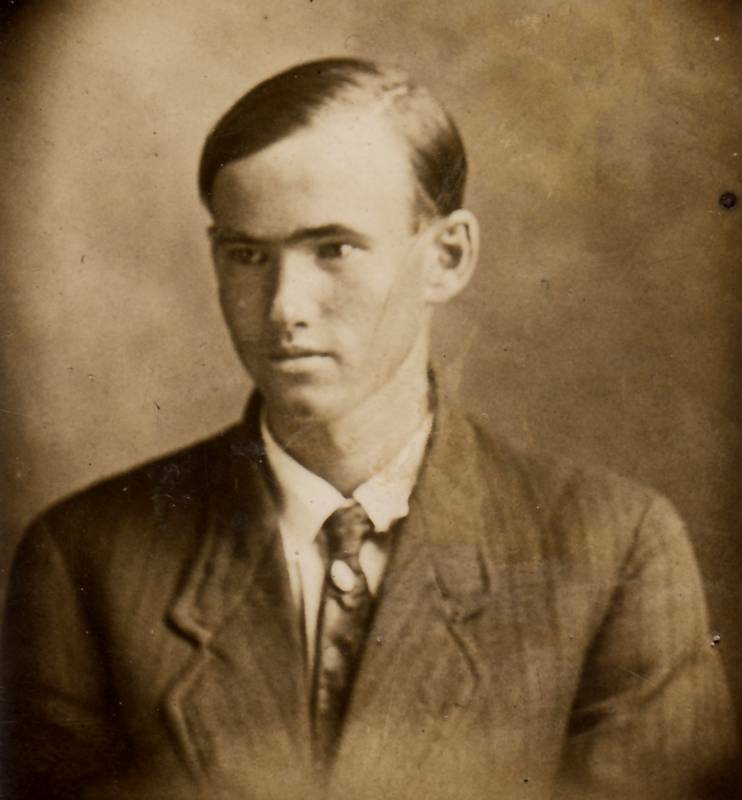 Calvin Waid did have a son he named Hampton b abt 1821, but no independent references seen to date refer to him as "Isaac" Hampton. 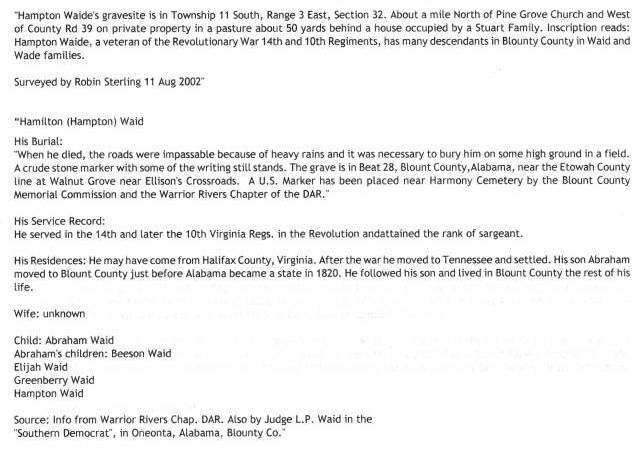 These references include Hampton Waid's 1857 Blount County land record and the death certificate of his son, Calvin R Waid, which list's his father's name as simply "Hampton". This Hampton b. abt. 1821 also had a son named Hampton Waid Jr, who would be Calvin's grandson. 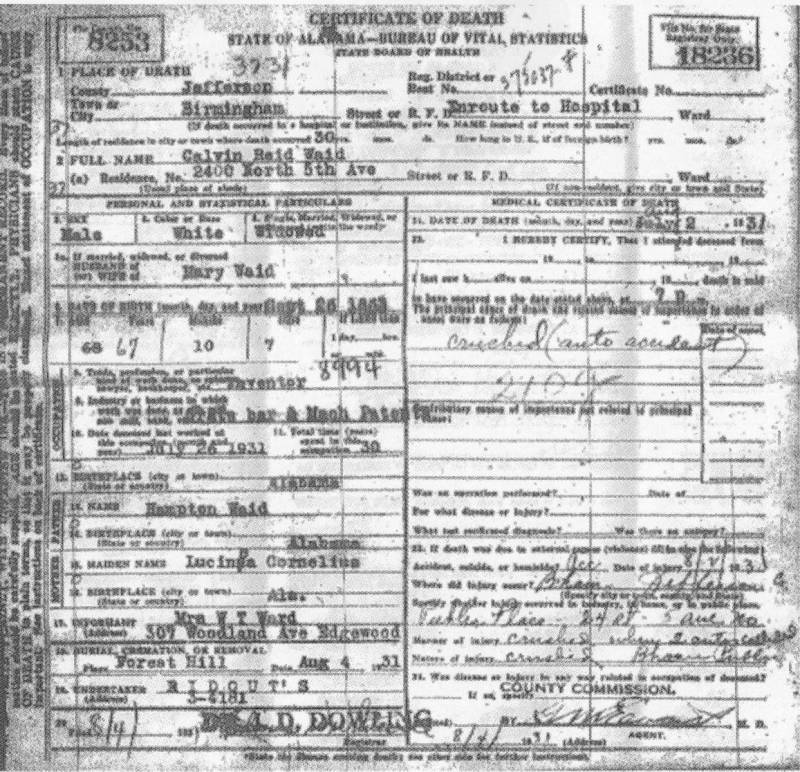 He was born abt 1851 and would not have been the "grandson" referred to in Calvin Waid's final pension documents of 1838. Many believe that the Hampton "Wade" of the 14th and 10th Virginia Regiments, born in Virginia abt. (dates range) 1850 - 1857, is "our" Hampton Waid/Waide. However, no documentation has been observed which conclusively links that Hampton Waid to the subject family line. In fact, research into that line of Wades seems to indicate otherwise. There is no doubt, however, that a Hampton Waid was prominent in the family line, as the name Hampton appears frequently in the lineages. 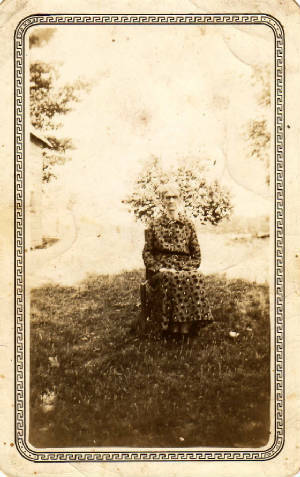 Frances (Fanny) Whisenhunt Reid Haynes abt 1900. 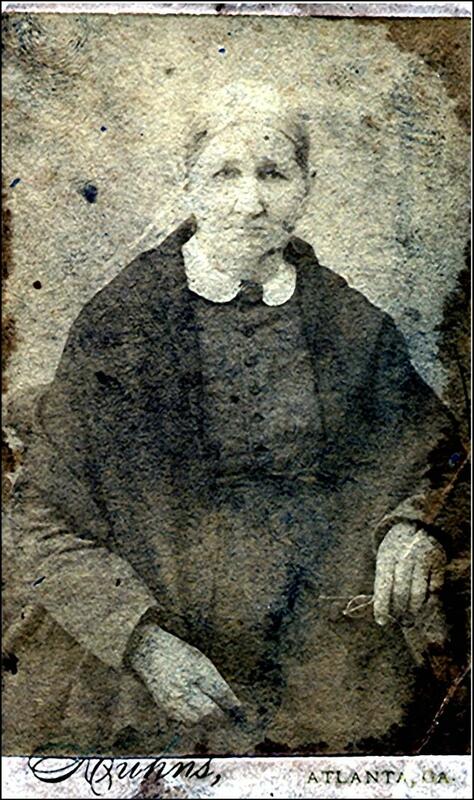 Mother of Edith Catherine Reid Cornelius Waid. 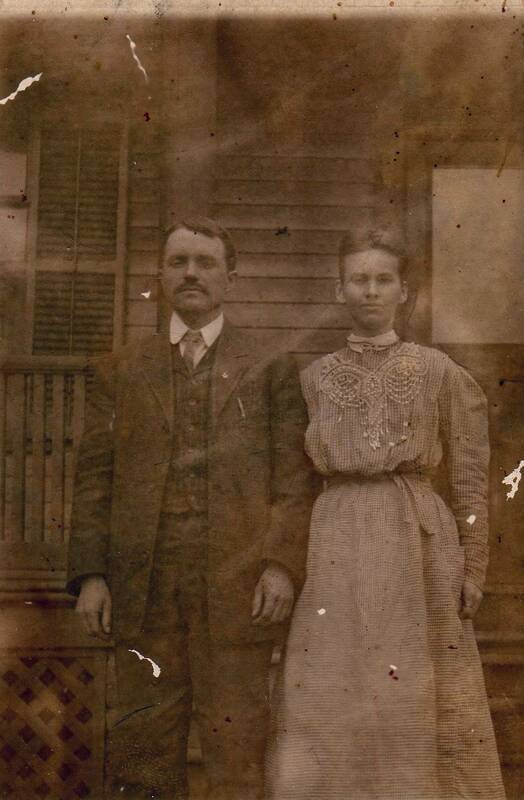 Oscar Ellard and Ida Wiggins Ellard. 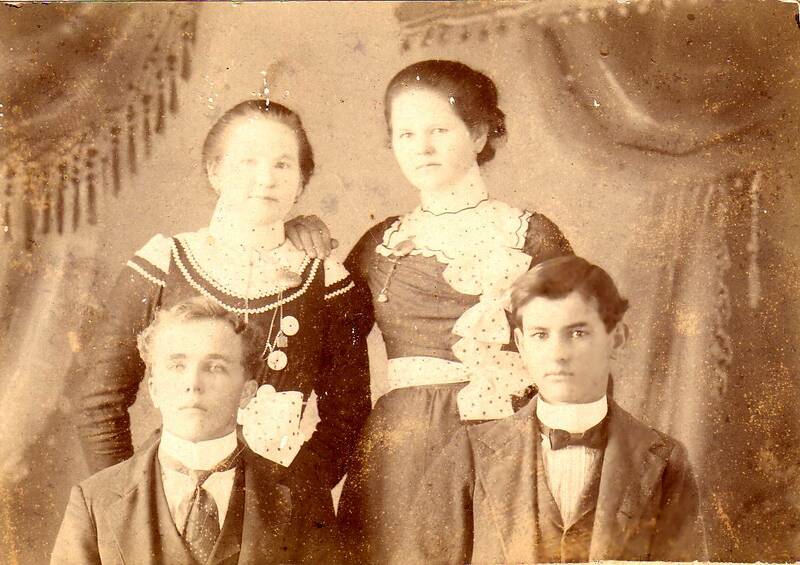 Lonnie Q Wiggins (sitting right) at age 18 - 1900 - with three friends. 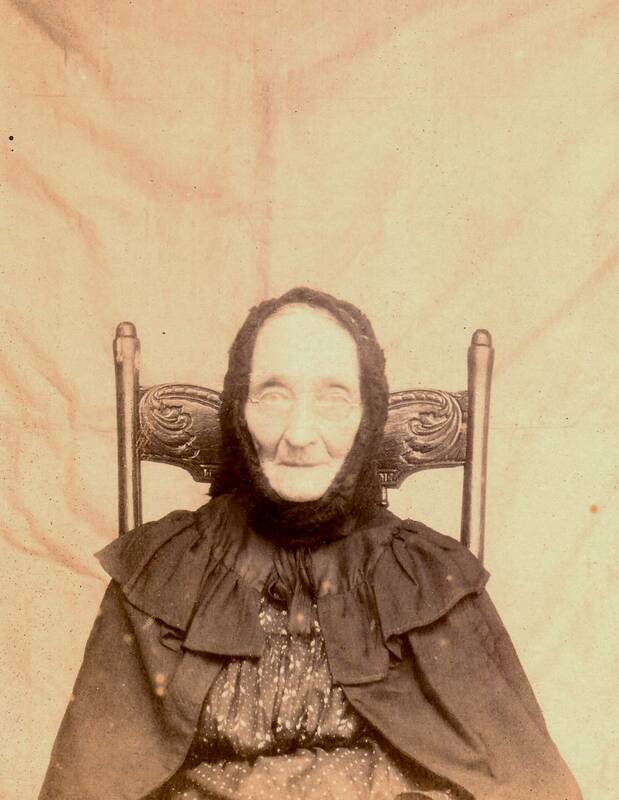 Wife of William Joel Wiggins.